When it's really cold outside, you don't want to mess around with a short or skimpy scarf. This pattern creates a big wooly basketweave scarf that will really keep you warm. Using the basketweave pattern, you create alternating raised and sunken squares that are all the better to keep warm air next to your body and insulate you from the cold. The basketweave scarf is all about style and simplicity. When you're looking for something pretty that won't take too much time or effort, this is the pattern for you. It's great for beginning knitters who want to practice knitting and purling in the same row. Basketweave is an easy stitch pattern with many variations that combine knits and purls into a piece of fabric that looks woven. This basketweave pattern is based on a simple eight-row repeat. You can alter the size of the pattern to suit your needs. Repeat the pattern to your desired length or 60 inches. Basketweave is a lovely stitch pattern, but it is not reversible. That means this scarf has a distinct front and back that aren't the same. The back isn't ugly by any means; it has an interesting pattern of raised squares that would make a lovely scarf in its own right. If you like the look of a scarf that looks the same front and back, this pattern is not a good choice. Otherwise, it is a fun pattern that's easy to work and very satisfying in how quickly it knits up. Just one pattern repeat will give you about two and a half inches of the scarf and takes 10 minutes or less to knit. It also makes a great gift that you can mass produce during the busy holiday season. This scarf is perfect for beginning knitters who are looking to advance their skills but aren't ready to try larger projects just yet. Scarves are also a great way to find out if you like a pattern without investing a lot of time into something you may not enjoy. Once you learn it, you can also use the basketweave pattern to make other accessories. Since it's one-sided, it's a great choice for headbands, beanie-style hats, and even purses or bags. 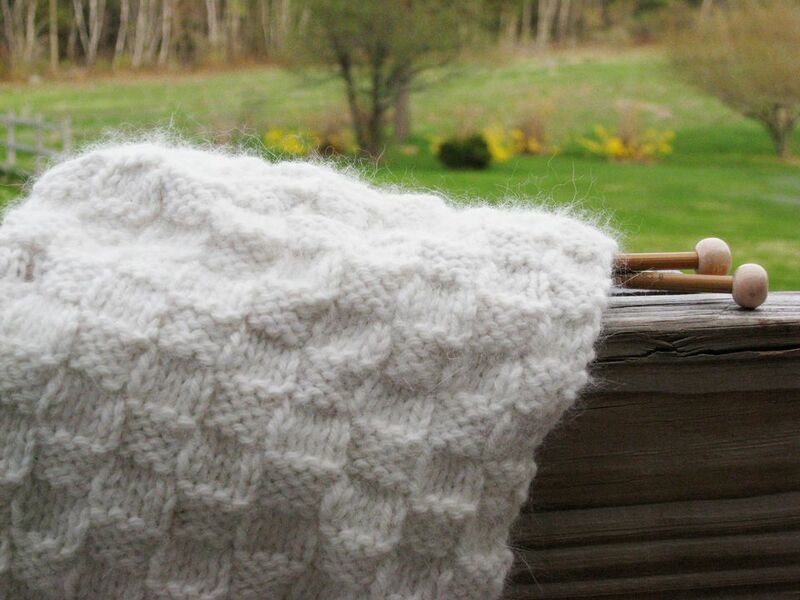 If you're a member of the kitting community website Ravelry, add this project to your crafting queue.